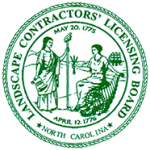 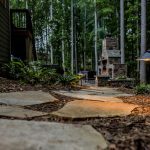 We wanted an outdoor living space that would be accessible to the house, but maintain a feeling of being a part of the landscaping and the natural area behind the house. 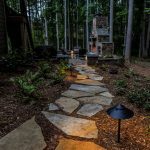 The area behind the house is on a slope and a retaining wall was needed to level the patio, but we were able to work it in seamlessly with the sitting wall. 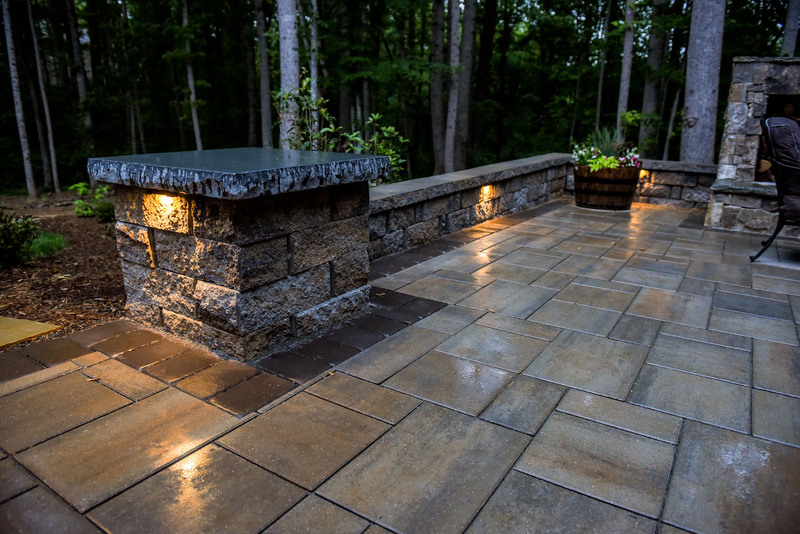 Low voltage lighting was built into the walls to allow for easier use at night as well as for safety. 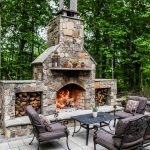 The fire place was constructed using cinder block with a natural stone veneer that came from a quarry in North Carolina. 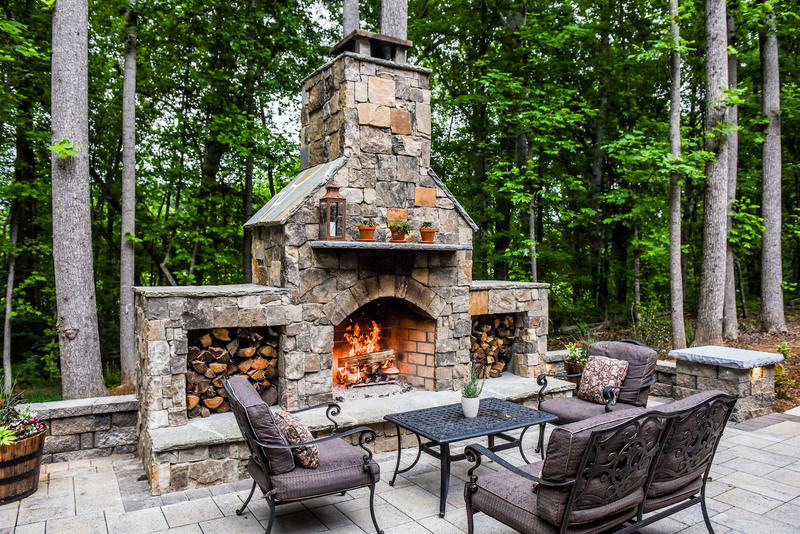 It also has a natural gas hook up to make starting fires as easy as possible. 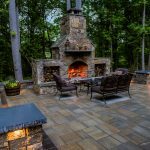 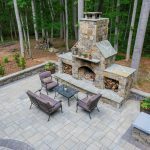 The patio is a three piece paver system from Techo Bloc called Blu and the color selection is Smooth Champlain Grey, with a Chocolate Brown border. 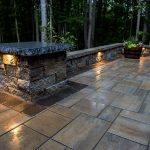 There is very little texture to the pavers, which adds a modern element, but the color blend has some beige in it, which offers a natural feel. 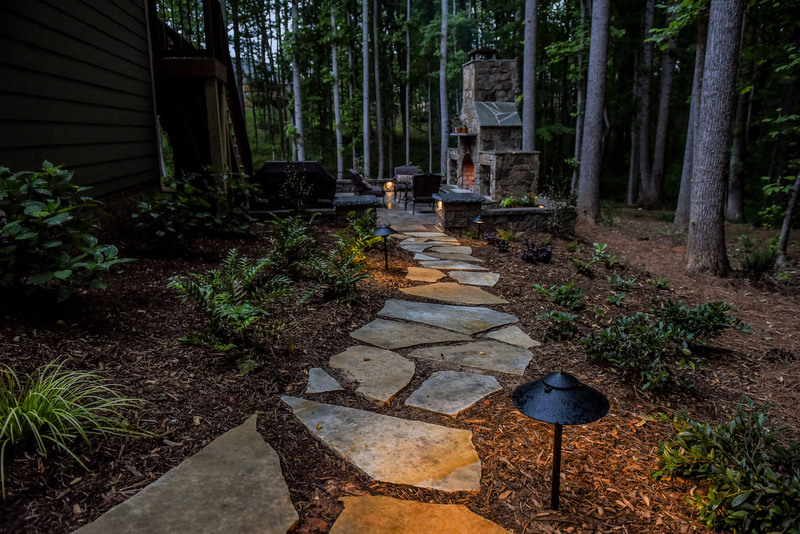 It is comfortable to walk on with bare feet and does not get slippery when it is wet, which is perfect for our small kids. 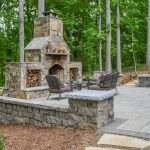 The retaining wall, sitting wall, and columns are all made using Carolina Blend wall block from Pavestone. 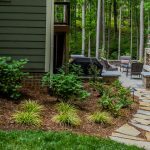 The planter pots were added to soften up the corners and add color. 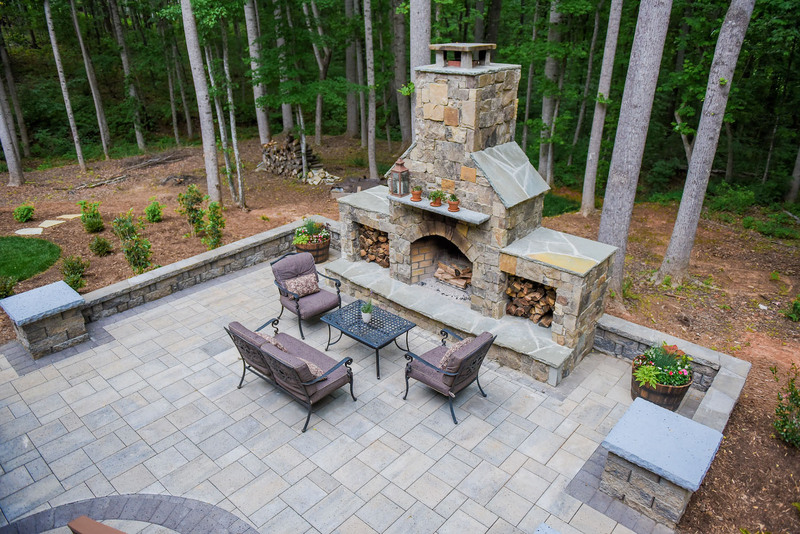 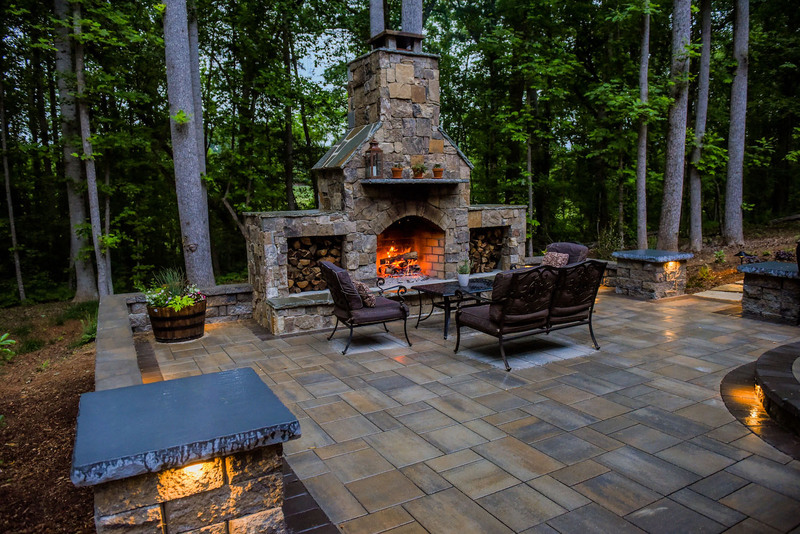 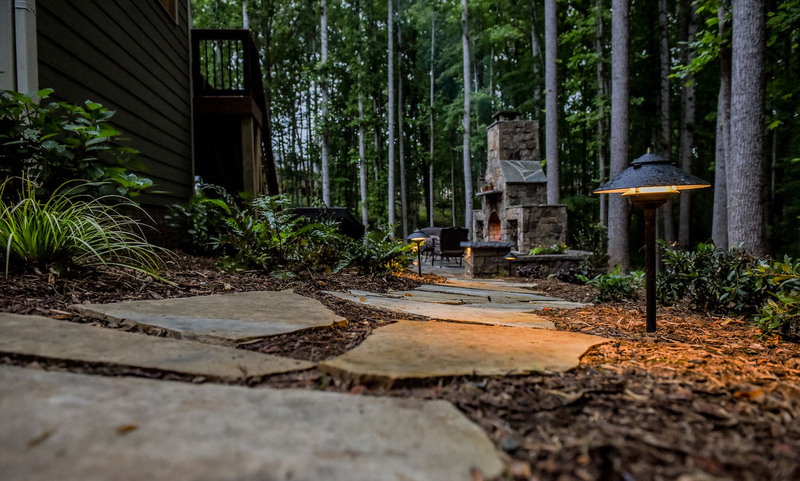 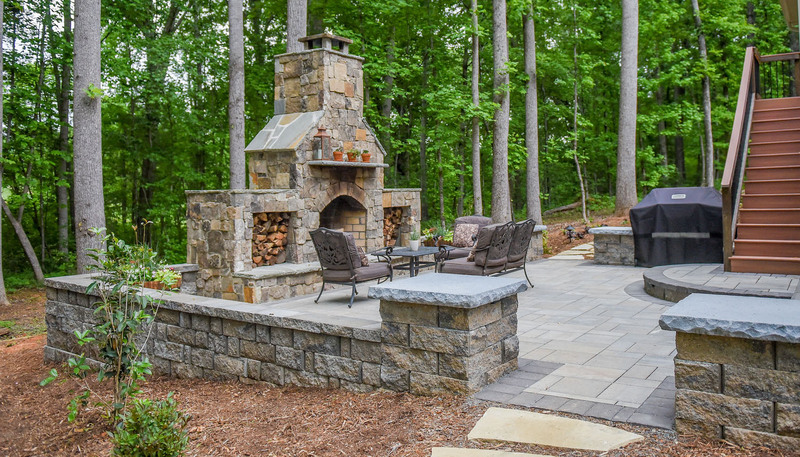 Overall the patio has a natural feel and makes for a great spot to sit by a fire.